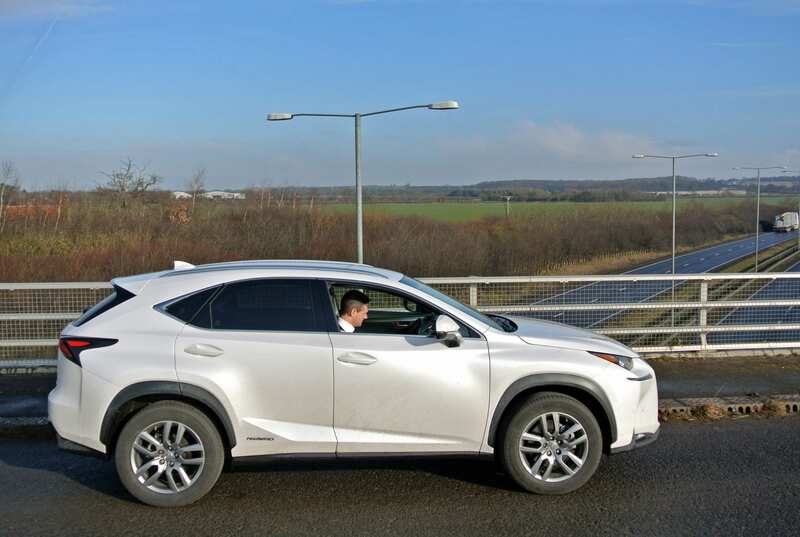 A couple of months ago, Iain Robertson drove the latest Lexus NX300h, a hybrid developmentfrom the luxury car sister brand to Toyota, a company that leads the world in hybrid engineering, which demands closer scrutiny. Presented with a vehicle that challenges opinions in many respects, the need to adopt an alternative approach proves essential. It is almost too easy for a carmaker to introduce ‘new’ technology and hope that its market can adapt to the changes, many of which can be surprisingly substantial. Recalling the first time I ever drove an ‘automated’ manual transmission, as it happened, on a Saab 900 Sensonic, in the mid-1990s, the transition from manual to automated (the car’s clutch was operated by micro-switches in the manual shift-lever and there was no clutch pedal) was ground-breaking. Sadly, the model was not popular and the misunderstood system was dropped by the former Swedish carmaker. The next time I drove an automated ‘box, it was in a Citroen C3. Now featuring an ‘automatic-type’ selector, with some attractive manual-shift paddles behind the steering wheel cross-spokes, it was still a single-clutch system and I loved it. Citroen (and Peugeot) has continued automated transmission developments, now into twin-clutch systems too that are less demanding on the consumer. Yet, they remain only marginally popular, despite their advantages in both fuel economy and exhaust emissions reduction. The first twin-clutch system I ever drove was in an Audi TT in the late-1990s and it was a revelation. Once again, it featured ‘exotic’ shift-paddles behind the steering wheel but the shift quality was simply stunning. Developed from the outstanding Porsche PDK system used in its Le Mans racing cars of the early-1970s, it had been refined to the point where gearchanges were seamless and the press-on driver, instead of concentrating on gear shifting, could dedicate more time to steering the car along a favourite winding road. Nirvana. There is scarcely a model from the entire VW Group that does not apply DSG transmission technology to its passenger carrying vehicles. While this story is not about transmissions, I simply wanted to highlight that hybrid engine technology is of a not dissimilar ilk. To enjoy success, it must be perceived as performing something of benefit to the driver. Yet, all notable introductions of alternative technology also demand some specific modifications in attitude and driving style, in order to achieve the maximum benefit. The interested and involved driver, much like the enthusiast, as opposed to the classification that is generally dead from the neck up and desires autonomous motoring to take over the arduous task of driving (! ), will be the individual gaining most from it. While both Honda and Toyota vied for pole position at the turn of the Millennium to get the first hybrids to market, it is Toyota that has persevered and enjoyed the greatest impact, with more hybrids available than from any other manufacturer. The technology is not cheap, which means that some form of initial retail subsidy was carried out, although Toyota can now claim that all of its hybrid models actually earn profit for the company. 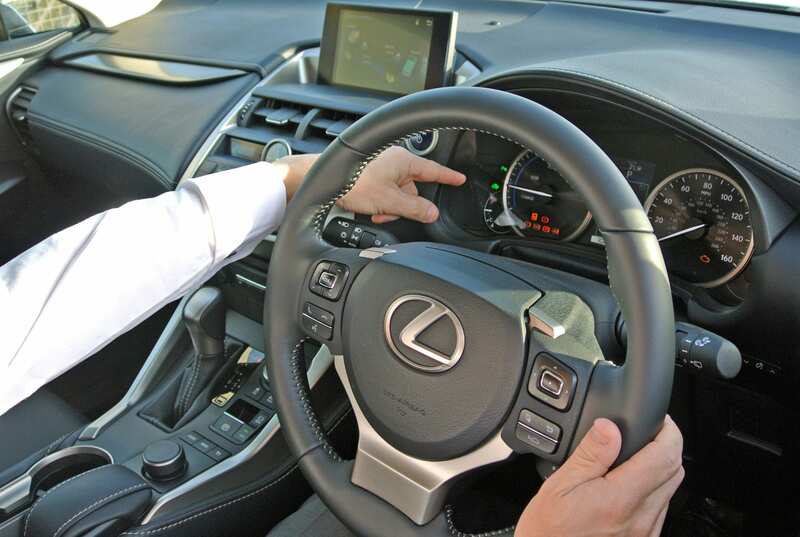 As its luxury arm, it was inevitable that Lexus would follow suit. In essence, a hybrid conjoins the motive force of a petrol, or diesel, engine with that of an electric engine. Operating together but switching one, or other, off at specific times, they produce strong acceleration, allied to low emissions and decent fuel economy figures. In the case of the Lexus NX model, an SUV, a second electric engine also drives the rear axle to provide efficient 4WD traction, when required. However, hybrids also require some means of storing electricity, which involves a battery pack. Battery packs are heavy, a factor that might obviate the efficiency of the NX. Yet, as I proved conclusively, returning 46.5mpg while driving around town was surprisingly easy. 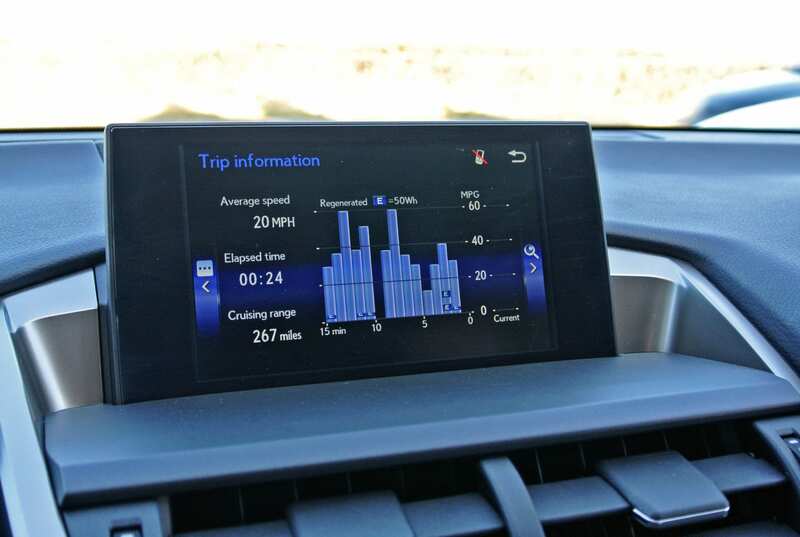 However, as Scott Brownlee, the excellent and empathetic general manager of PR, at Toyota’s UK head office, noticed from my original test report on the model, its overall MPG attained while driving on main roads (28.6mpg) was not as excellent as it might have been. He felt, without preaching, or making judgement on my driving style, that I might benefit from a greater understanding of hybrid engine technology and despatched the firm’s consultant driver management exponent (of DriveSense), Mr Steve Croughan, to inform me. Naturally, I could have taken umbrage against this generous gesture and reacted against it. Yet, I determined that, were a better way to drive a hybrid possible, then I should consider the implications carefully. 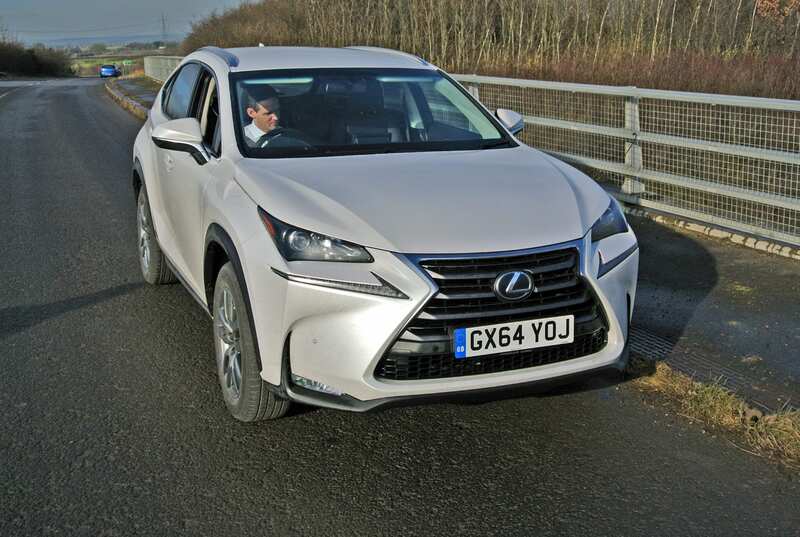 In the most professional manner, Steve explained the beneficial ways by which to conduct a Lexus NX300h, to make maximum use of its combined petrol and EV power and how to achieve an overall fuel consumption closer to the stated 54.3mpg Official Combined figure. By changing the on-screen read-out, it is possible to view the flow of power from either battery, or engine and battery, to all four wheels. 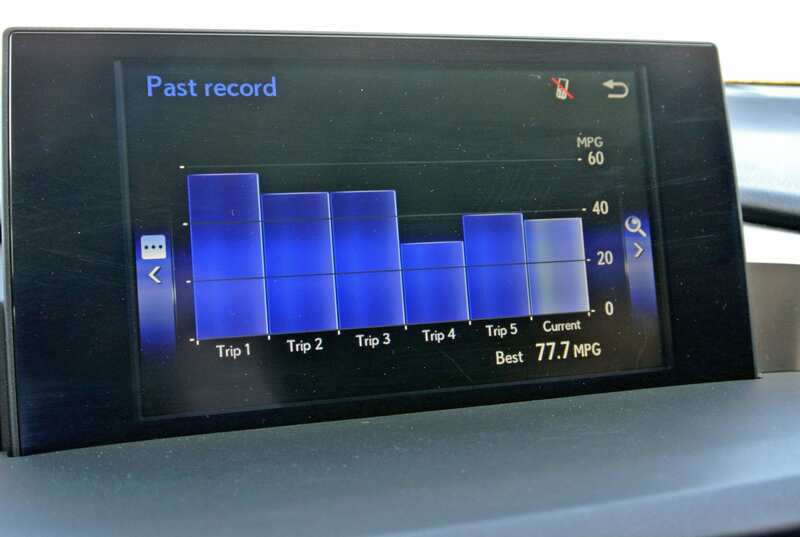 Deeper investigation into the recorded journey log (on a separate screen reading) revealed that Steve had managed a remarkable 77mpg on one, 12-miles section of his drive to my office. Therefore, he could highlight that this fairly heavy SUV was capable of fuel returns markedly above even the government figures. Our initial around-town drive proved my original findings, although the cross-country section of the route seemed to bear out my original fears. Yet, Steve worked patiently and encouragingly to help me to achieve a significantly improved 47.6mpg by the end of our three hours session. It needs to be stated that this is a realistic figure that should be achievable by any driver, without resorting to extreme techniques. I was most satisfied. The first technique that was applied was to adopt a typical advanced driving method, of accelerating briskly to the desired cruising speed of around 60mph, followed by immediately throttling back to a light pedal application and watching either the left-hand dial on the instrument panel, to keep the needle as close to the ‘Charge’ marking as possible, while not exceeding the half-way mark on the ‘Eco’ section of the performance dial, or the smaller ‘EcoMeter‘ band in the centre of the console. The key, which is well known to any driver having undertaken extensive advanced training, is to maintain smoothness at the optimum level. This extends into cornering and approaching junctions (Give Ways), or automatic traffic signals, anywhere, in fact, where an obligatory stop is not required. The knack lies in timing and maintaining enough momentum to avoid the engine entering an idling phase, which would use extra fuel. In many ways, much of this is commonsense. However, the mechanical aspect of lifting off the ‘gas’ but reapplying steady throttle at speeds below 50mph means that the Lexus will run in EV (Electric Vehicle) mode for longer, thus improving fuel economy potential substantially. We all spend our lives rushing about and not being more conscious about cutting costs. 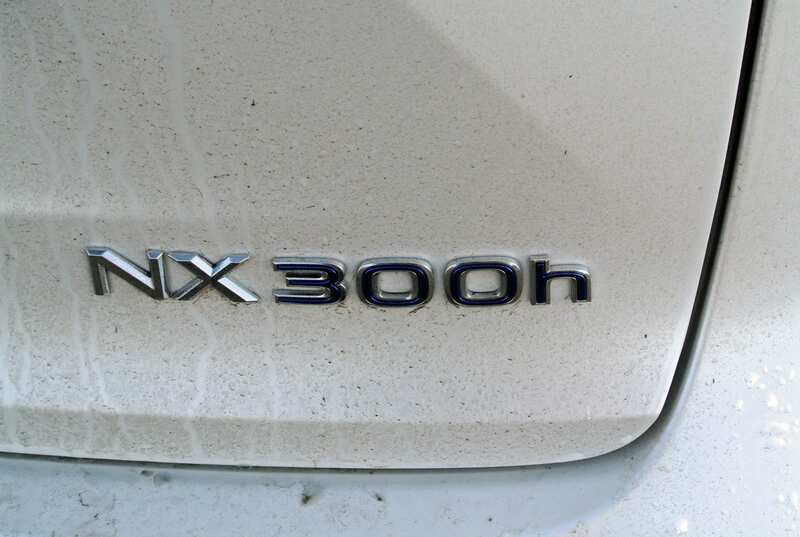 Less speed will not make you much slower on the road and a few extra seconds spent in planning properly can reduce costs by such an amount to make running an NX300h more efficiently a distinct possibility. Of course, this does raise additional issues. Far too many buyers are lured by the publicised ‘clean and green’ frugality of hybrids and are disappointed subsequently by poorer fuel returns. The answer is, don’t be. 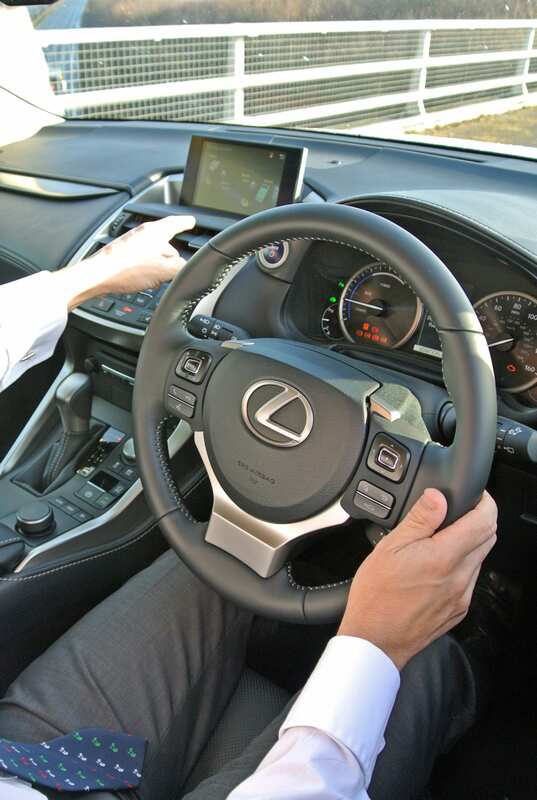 Buy, or acquire, a Lexus hybrid for the right reasons and then learn to drive it properly. Finally, while some car manufacturers attend to just moving metal, at least Lexus provides opportunities to understand the product. If only the order-takers claiming to be ‘professional salespeople’ would learn properly how to sell to, present and educate their customers in the art of driving a hybrid responsibly, they would become better understood and engage with even more buyers. Surely the motive power of an electrical unit demands that it be called an electric MOTOR, not engine. An interesting observation, Mr Southam, thank you for it. However, the motor industry has a tendency currently to refer to ‘twin-power’ units, in hybrid form, such as this Lexus, as ‘twin-engine’. You are, of course, correct in your statement but the industry suggests that it knows better…. « The Wrong Kind of Face.